The rash of terrorism around the globe is a problem of highest concern. The attacks in Paris and Brussels make it seem as if we are not safe anywhere. Any sane person has to wonder, “What is our world coming to?” How, then, do we deal with terrorists? How do we get rid of angry, insane people who hurt others? How do we stay safe in a world so filled with danger? You were not born with an inner terrorist. Babies are not terrified. Infants enter the world with just two innate fears: falling and loud noises. All other fears are learned. Being terrified is an aberration of our natural state, not the truth about who we are, where we came from, or where we are going. (1) Quit terrorizing yourself. When you beat yourself up, you are a tool of terrorism. When you rise beyond the inner terrorist and don’t allow it to bully your mind, heart, and life, you are defusing terrorism from the inside out. Clarity begins at home. (2) Refuse to be terrified by external people or events. When you indulge in fear-based thoughts and feelings, you are adding to the sum total of terror on the planet. When you choose inner peace no matter what the outside world is doing or choosing, you are diminishing terror on the planet. That’s how powerful you are and how important your contribution is. (3) Don’t terrorize others. When you use fear, guilt, threat, or punishment to control someone who bothers you, you add to the dark mess. Teaching others that they are guilty, small, stupid, or owing are forms of psychological terrorism. When you release others, you release yourself. Two men were fishing from a river bank when they heard a loud cry, “Help! Help!” They looked upstream and saw a woman caught in the rushing river. One of the men jumped into the river and saved her. They phoned for medical aid and the woman was taken away. Ten minutes later they heard another cry for help, this time from a man being carried away downstream. Again the fishermen saved him and dispatched him to medical attention. A little while later they encountered another person almost drowning, and they repeated the procedure. Stymied about where these drowning people were coming from, the fishermen hiked up along the river a few hundred yards. There they saw a bridge with a man standing on it. When a woman began to cross the bridge the man grabbed her and started to throw her in the river. The fishermen rushed to her aid, subdued the crazy man, and had him arrested. A crazy person stands on a bridge in your head, intercepting positive, loving, creative thoughts, attempting to stifle or kill them. So far this lunatic has achieved much of his or her dark mission. As long as that insane person is in charge, your positive intentions don’t stand a chance. It will do you no good to keep sending more noble thoughts across the bridge. The saboteur will intercept them and they will be tossed aside. Get the crazy person off the bridge and allow your visions to manifest. Then you will be free of fear and fear-based actions, you will know exactly how to deal with external terrorists, and the outer world will show less terrorism because you have changed from the inside out. Terrorism is running rampant on the planet because it is running rampant in our minds. We must pluck it from our hearts before we can pluck it from the world. Until then we are simply fearing and fighting ourselves. Healing the world is an inside job. There is no other way around it. 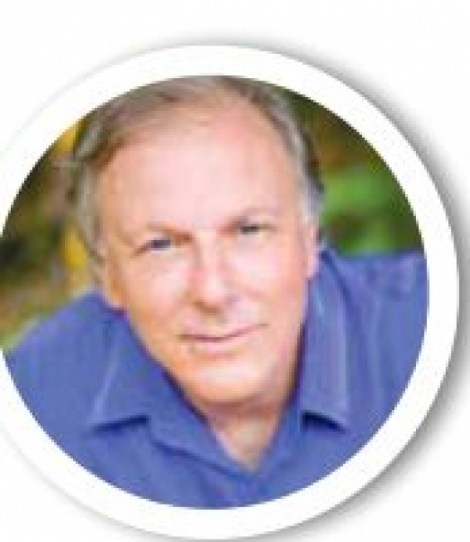 Alan Cohen is the author the many popular inspirational books, including his new release, The Grace Factor: Opening the Door to Infinite Love. Join Alan in Hawaii December 5-10 for Miracles in Paradise, a retreat to bring A Course in Miracles to life. For more information about this program, his free daily inspirational quotes, online courses, and weekly radio show, visit www.AlanCohen. com.